Facebook has been a hot topic in the news lately, but Mark Zuckerberg has insisted he is still the best person to lead Facebook. "When you're building something like Facebook which is unprecedented in the world," he said on Wednesday, "there are things that you're going to mess up. "What I think people should hold us accountable for is if we are learning from our mistakes." Recent reports around improper data gathering by third parties - as well as fake news and propaganda - have prompted some to question Mr Zuckerberg's ability to lead a company that some think has grown beyond his control. Scott Stringer, head of New York City's pension fund, said this week that Mr Zuckerberg should step aside. The fund owns approximately $1bn-worth of the social network. "They have two billion users," Mr Stringer told CNBC. "They are in uncharted waters, and they have not comported themselves in a way that makes people feel good about Facebook and secure about their own data." 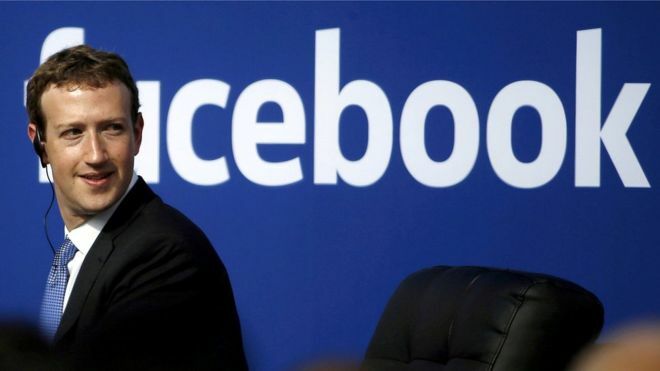 He called for Mr Zuckerberg to step down in order to let Facebook start a "reputation-enhancing second chapter". "He doesn’t just lead an institution that touches almost every person on the planet," wrote Felix Salmon. "He also, thanks to financial engineering, has a majority of shareholder votes and controls the board, and is therefore answerable to no one. "By design, he can’t be fired - he can only resign. Which is exactly what he should now do."